PLEASE NOTE: BREAKFAST WILL TAKE PLACE ON JULY 9, 2015, IN LIGHT OF JULY 4TH HOLIDAY. Deconstructing the paradigm to uncover new possibilities. Much has been written about the utility of consensus-building processes to address public policy controversies. Allen J. Zerkin's experience convening and facilitating such processes in New York State for the past 20 years suggests that they can be quite different from the prototypical process described in the literature and that a recognition of those variations opens up possibilities for their use. In this session, he will discuss five NY State case examples to illustrate the lessons learned from tailored strategic approaches. Allen J. Zerkin has been an Adjunct Professor of Public Administration at NYU’s Robert F. Wagner Graduate School of Public Service since 1988, teaching courses on negotiation, conflict resolution and public involvement. He also teaches every year at the graduate school of the American University of Paris, and has taught courses on environmental conflict resolution at Columbia University and at Bocconi University in Milan. Professor Zerkin is a graduate of Yale Law School and a member of the New York Bar and the U.S. Institute of Environmental Conflict Resolution’s National Roster of Environmental Dispute Resolution and Consensus Building Professionals. He serves on the board of directors of New Partners for Community Revitalization, an organization at the forefront of policy issues concerning “brownfields” in New York State. As a practitioner, Mr. Zerkin specializes in the design and facilitation of public and stakeholder involvement processes, including public meetings that provide meaningful opportunities for learning, deliberating and providing useful input as well consensus-building initiatives. 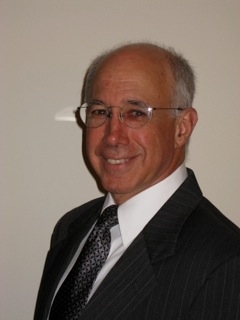 Among his high-profile projects was the design and facilitation of the Pocantico Roundtable for Consensus on Brownfields in New York State in 1998-1999, the process that generated model legislation that a broad-based coalition subsequently used to secure the passage of state brownfields legislation. He also conceived and facilitated what came to be called the Upstate-Downstate Water Quality Partnership, an unofficial channel for communication between organizations and citizens from New York City and from the Catskills region, a process that laid the groundwork for Gov. Pataki's decision to convene the mediation that ultimately resolved the New York City watershed controversy in 1995. In 2012-2014, he led a team that successfully facilitated two pioneering consensus building processes in Massachusetts, including patients as well as medical professionals in developing clinical guidelines regarding the use of prostate cancer and lung cancer screening procedures.